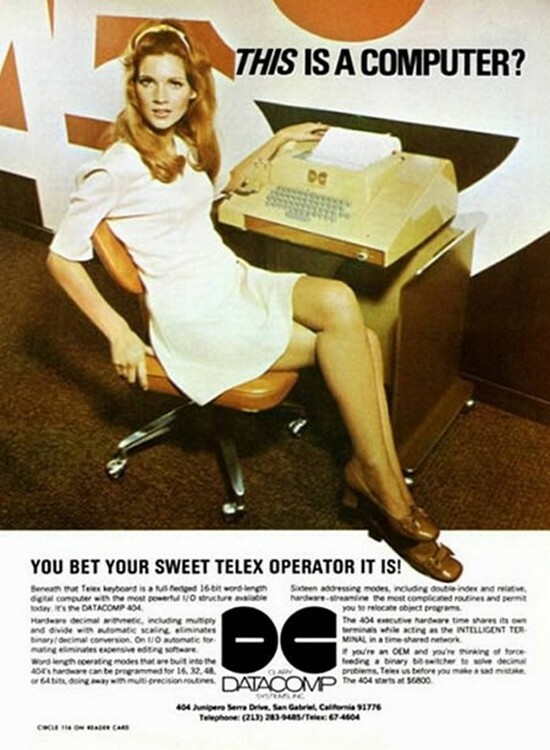 Home / New Offbeat Ad Posted: Ooh baby… Is that a telex in your pants, or are you just happy to see me? Just posted a new ad in the Offbeat Ads section of my blog. Oh, and here’s a cute story you might like. Years ago, when I graduated from college and worked as a CPA at Arthur Young, the firm used to have a lot of their corporate parties across the street, at the Waldorf Astoria. I read a really cool article in the Wall Street Journal the other day, about something very interesting the WA does for couples who spent their honeymoon at the hotel. Check it out, it’s very unusual and quite nostalgic what the hotel does for these couples.